The CS7p is the world’s first network redundant, Milan-ready loudspeaker. It features a dipole two-way, full-range design, intended for use in a wide variety of applications. In addition to meeting the requirements of the Milan protocol, the CS7p employs a redundant AVB topology with the ability to daisy-chain networked audio between multiple sources, an analog XLR input and output, as well as on-board DSP and amplification. All features of the loudspeaker are controlled and monitored using AES70. The CS7p is suitable for use as a standalone system, but with it’s advanced networking capabilities, is also ideal for larger distributed systems often deployed in corporate environments. Acoustically, the CS7p contains 2x 7-inch Kevlar Neodymium transducers and a 3” compression driver, loaded with a 70 x 40 (H x V) waveguide, rotatable by 90 degrees. 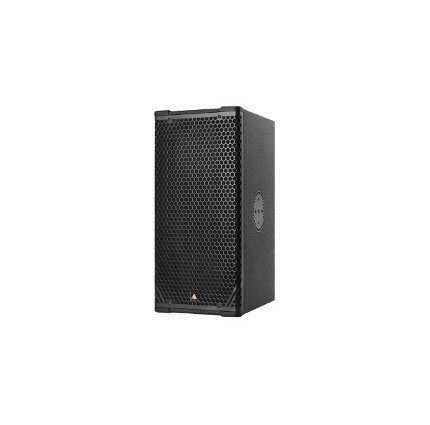 The cabinet construction uses marine grade birch plywood as well as aircraft grade steel and aluminum, and is equipped with a male and female XLR connector, 2x etherCON connections and an in and through powerCON TRUE1 connection. The rigging system offers a wide variety of possible solutions to meet any deployment needs.